With the latest version of Schema v3.3, an interesting vocabulary is added : the HowTo. This new type would be very useful to SEO consultants and webmasters of HowTo like websites. They are able today to markup their pages not only as a simple article or blogpost but with this new specific type. The HowTo type came as a generalization upper the Recipe one because logically a recipe is a set of steps and instructions that show how to prepare a delicious meal. One reason is that today, Schema.org structured data adoption stills low, i guess. But this will change i believe, mostly with the evolution of Schema vocabularies. As promised in my previous post, i explain you today how to markup a how-to article with JSON-LD. But before, let me explain the new properties of HowTo type. supply : supply needed to be consumed when performing the actions / directions. yield : the quantity that results by making the steps. for example : 10 origami flowers. In addition to the above specific properties, HowTo type inherits properties from CreativeWork and Thing such as about, author, dates, video, thumbnail, description, image, url etc.. Examples are for learning so they must be useful that’s why i will take an existing how-to article about how to change a tire. 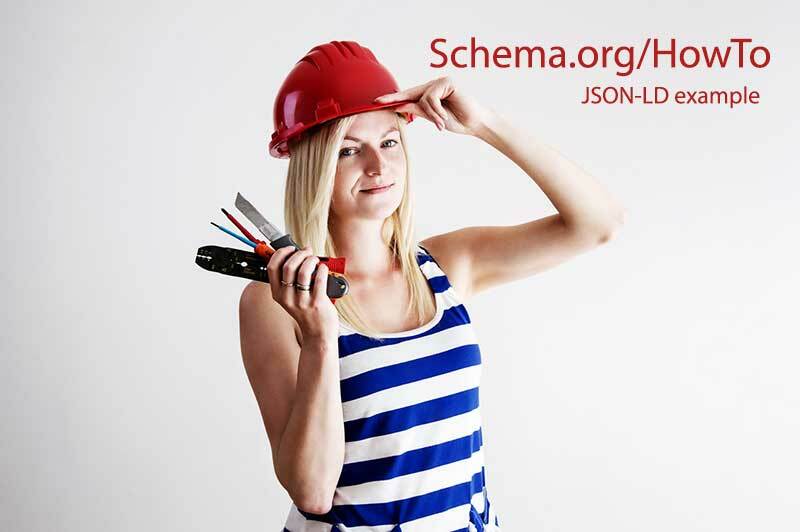 I will try to markup this example in JSON-LD (recommended format for Google), if you need an example in micro data you can use the given one on Schema/HowTo page. Knowing that Google Structured Data Testing Tool is not yet updated to recognize the HowTo type, i don’t recommend to use the following non validated JSON-LD example on production environments. I will update the post when it will support it. OK let’s Go ! You can of course provide some additional properties inherited from Schema/CreativeWork such as datePublished or video. Now let’s describe the second part about instructions (steps). 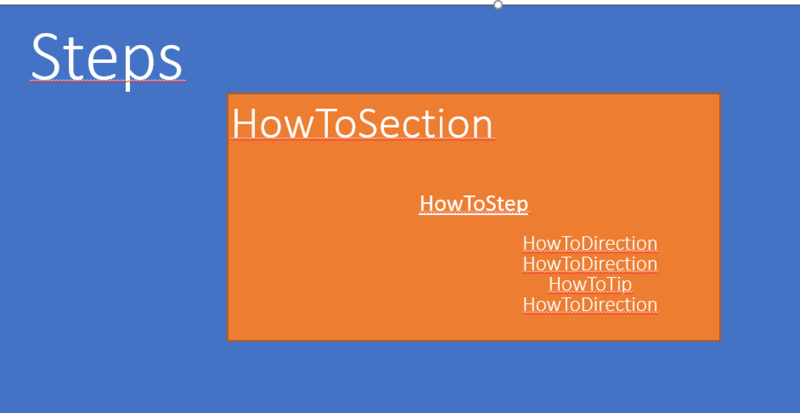 Steps could be simple text element or an ordered list of HowToStep / HowToDirection elements or sub-grouped under HowToSection. That’s all for this Schema.org HowTo example. If you have questions/feedback post a comment and i will try my best to answer them. Thank you!